Choosing the right digital marketing agency for your company isn’t just a matter of picking a name from a hat – online marketing is a complex business, and you want skilled, professional, and creative partners. 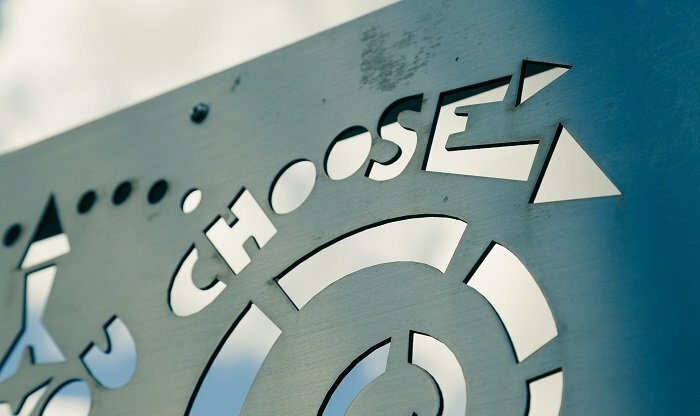 So how do you go about choosing a digital agency? The first question you should ask is: what does a digital marketing agency do? Or more to the point, what can an online marketing agency do for your company? Let’s accept that as Forbes says, traditional forms of marketing are facing increasing competition from digital marketing services – TV, radio, newspapers and other traditional media are being outpaced by online, View On Demand, social media, and mobile. In a few years, digital marketing through an online agency will certainly be the dominant form of marketing. A digital marketing company offering all the facilities of a creative digital agency will take your business beyond conventional marketing techniques, offering digital agency services suited to the modern marketing world. So what a digital agency can do for you is to make sure your products and services reach an audience which looks to digital resources first. Whether it’s through text search engines, voice assistants, or social media, your potential customers need to be able to find your company, stay engaged and make a purchase. Digital marketing services provided by an online agency will give you all the tools and support you need to build a cost-effective strategy, increase ROI and grow your business. Why Do Companies Hire Digital Marketing Agencies? Quality. You are competing with websites and digital marketing strategies built by professionals, and your DIY efforts won’t cut it compared to those of an online agency. Take on an agency, and your offering will be up there with those of the biggest competitors. Facilities. The software tools necessary for design, graphics, imagery, content, video production, analytics and reporting are all to hand at a digital marketing services agency; unless you have all those, and the skills to use them, you won’t be able to create a professional and efficient digital marketing resource. Time. In the short term, you might be able to produce DIY results quickly – but in the long term, you will spend time trouble-shooting, revising and maintaining, which may be saved if you go with a digital marketing agency. Do it yourself, and you will waste time solving problems an experienced online agency will already have anticipated. Cost. Yes, you will have to pay an online agency to develop, implement and maintain your digital marketing strategy, but how much is your time worth to you? A competitive bid may end up looking good, balanced against the time you would spend handling digital marketing yourself. New York-based marketer Matthew Fritschle says that everyone who owns a business knows that running it is more than a 9-to-5 job; it requires your full attention, so it makes sense to hire digital agency services. “You only have two hands and can’t stretch yourself too thin either,” says Fritschle, who likens digital marketing services to any other routine hire. “Just like hiring a cashier to cover the cash register, or a salesperson to sell your products, you need to hire a marketing agency to market your business.”. Does it have a complete range of digital agency services including fully certified PPC Management, Web Design, SEO, Content Marketing, Email Marketing and Social Media Management? Does it have long-term experience as an online agency, at least ten years in the field? Does it have permanent staff with a full range of skills, including specialisations in PPC, SEO, content marketing, email marketing, web development, design and social media? Can it offer a wide range of case studies and customer endorsements? Does it have skills in web design, social media, content management and analytics, so it can guarantee outstanding visibility, customer loyalty, engagement, high rankings and an effective digital marketing strategy? So, How Can You Choose The Right Digital Marketing Agency for Your Business? Understand your needs and your budget – a good online marketing agency should be able to work with any reasonable budget and set your expectations accordingly. Look for transparency. If the agency doesn’t have a basic address, contact and client information, be wary. Many offshore agencies offer cheap rates with big promises on which they can’t deliver. Look for credibility and experience. Read client testimonials and reviews (preferably in your industry), and ask for references. Look at the agency’s own digital marketing services website. This is the shop window of its digital offering, so it should look great. Check if it appears high in search results and has links to well-maintained social media pages. Finally – the “beer test”. Marketing is supposed to be fun for business owners who are doing all the mundane operational tasks needed to run their business. So, choose an online marketing agency that aligns with your personality and availability, and is also fun to work with. TRON Media can help with all your digital marketing requirements. TRON Media has a highly qualified team of trained specialists in web design, content creation, SEO, PPC, marketing, digital strategy and social media, and can work with you to develop your ideas and build a digital marketing strategy perfect for your business. TRON Media is a leading Digital Marketing Agency located in Brighton, offering the easiest and most cost-effective way to help you reach your audience. Get in touch today to find out about our latest digital marketing and web design services, and what a creative digital agency can do for your business. Contact us using our Contact Form, call Lasharie in London on: 020 7870 9041 or Simon on: 020 3006 6889 or by emailing us at: [email protected]. next post: How Can PPC Help Your Business?